Judy Ringer is the author of Unlikely Teachers: Finding the Hidden Gifts in Daily Conflict. She provides conflict, communication, and presentation skills training based on mind/body principles from the martial art Aikido, in which she holds a third-degree black belt. Employing best practice communication models, Judy brings to life key concepts such as selfmanagement under pressure and appreciation of other viewpoints. Her programs are interactive, experiential and energetic. 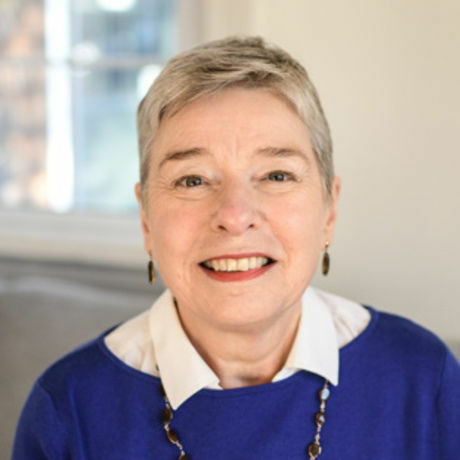 Judy writes for numerous online and print media on the relevance and application of the Aikido metaphor, including articles in the Society for Organizational Learning’s Reflections magazine, The Systems Thinker and Aikido Today Magazine. She is also the author of three CDs, Managing Conflict in the Workplace: An Aiki Approach; Simple Gifts: Making the Most of Life’s Ki Moments; and This Little Light: The Gift of Christmas, as well as the award-winning newsletter, Ki Moments. Clients from health, education, government, and business communities include the National Institutes of Health, Institute of Nuclear Power Operations, the Chicago Federal Executive Board, Federal Bureau of Prisons, Williams & Connolly LLP, BAE Systems, FIRST, Saint-Gobain Performance Plastics, GE, Sony Corporation, Honda of America Manufacturing, Frito-Lay, Bose Corporation, TDBanknorth, Pearson Publishing, AthenaHealth, Maine Medical Center, Medtronic, Northeast Delta Dental, Harvard Business Publishing, Wharton Leadership Ventures, the University of Pennsylvania Law School, Arizona State University Leadership Program, University System of NH, Friends Forever youth from Uganda, Ireland and Israel, Engrenage Noir Performing Arts, The National Education Association, and the States of New Hampshire and Vermont. Judy is the founder of Portsmouth Aikido and owner of Power & Presence Training, in Portsmouth, NH. Join us on Sept. 29, and experience how the martial art Aikido uses the energy of conflict in more compassionate and creative ways.